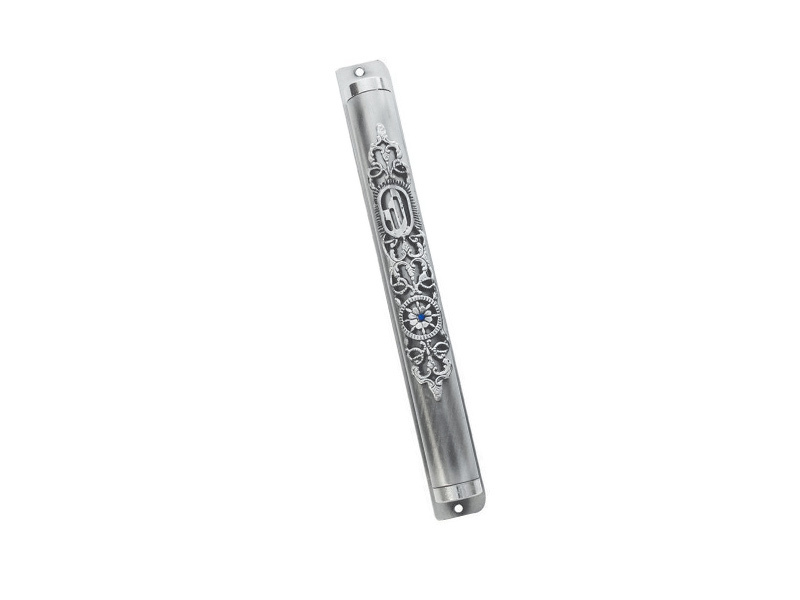 This tubular designed pewter mezuzah case has an eye-catching, detailed floral design. The case is decorated with a flower with a small blue center and elegant, ornate designs around it. The mezuzah case is decorated with a “Shin”, the Hebrew alphabet letter that represents G-d’s name as a guardian of the home. The case has two holes on each end allowing it to be easily affixed with nails to the doorpost. This case is a perfect touch for any indoor doorpost. A great gift for yourself or others!